This section embraces both complimentary and definitive British Telecom (BT) Phonecards. The complimentary telephone cards are defined as those issued by BT without charge to introduce new customers to the system, repay the outstanding units on a card returned as faulty, or for use by engineers, cleaners and others for the testing of the system. 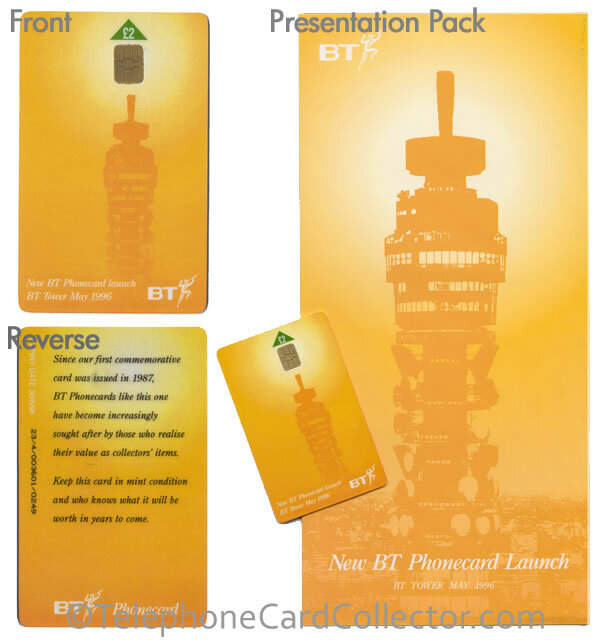 The definitive cards are those cards available from BT's commercial/retail outlets at face value, and are in general use throughout the UK. They are usually generically known as "greenies", and are devoid of any serious illustration other than what is necessary to convey their obvious use. Included within this category are the 'Bonus' and 'Value Added' issues, even though their circulation may have been restricted to certain geographical areas, or their period of availability was short. The cards pictured below appear in order of catalogue number BTD001 to BTD051. The cards pictured are a mere few from the BTD category which features 51 cards. To view all of the cards in BTD section simply purchase a copy of the UK 1 World Phonecard Catalogue (pictured right). First issue complimentary 10unit telephone card. 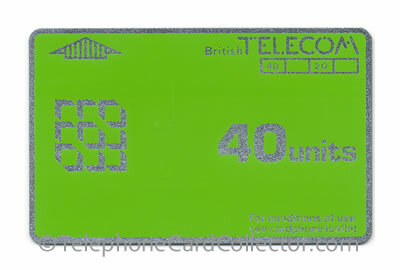 First issue 40unit telephone card. 6th Issue 20unit British Telecom Phonecard Definitive. 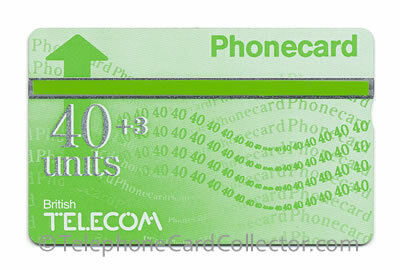 6th Issue 40+3unit British Telecom Phonecard Definitive. 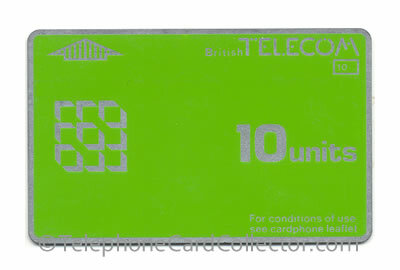 6th Issue 100+10unit British Telecom Phonecard Definitive. 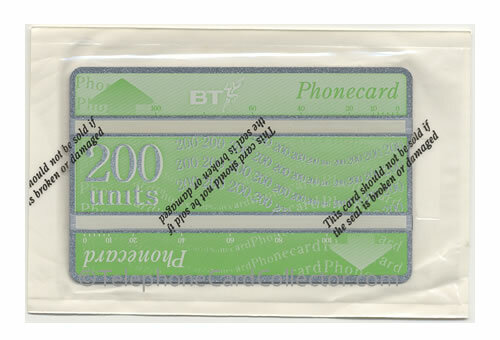 Mint wrapped 9th Issue 200unit BT Phonecard Definitive. 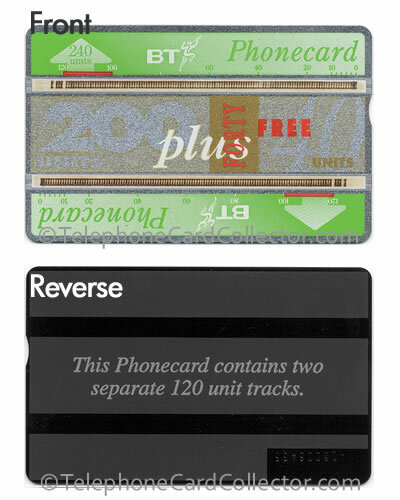 240unit BT Phonecard - This Phonecard contains two separate 120unit tracks.